If you are looking for a fun and different holiday event for your small business this holiday season, look no further than our escape rooms! 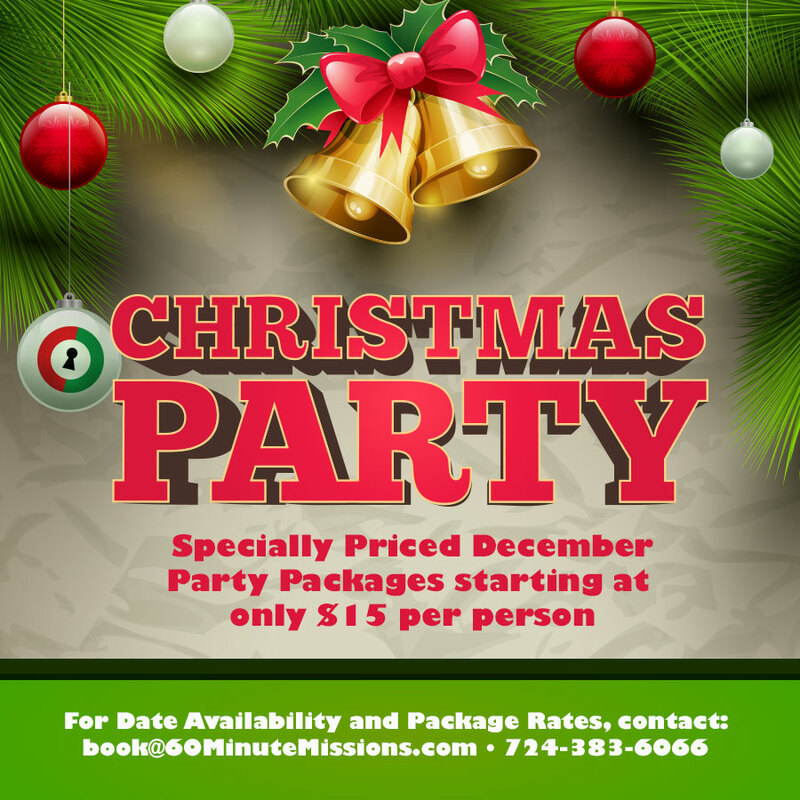 We are able to accommodate groups of up to 20 (2 groups of 10) in our missions at a time, while offering a party room that seats up to 24 people. Guests are welcome to cater in or “BYO” whatever they feel is necessary to host the perfect event. Fox’s Pizza Den and Pizza Sienna are the pizza providers of choice for the numerous birthday parties which often occur in our party room. Wondering if this is the right fit for you? Ask the Westmoreland Cultural Trust about their wonderful experience. They were the very first group to have their holiday party in our private event space catered by Sun Dawg Cafe. Contact us at 724-383-6066 for date availability and pricing.